Last month after I got home from MixedCon, I showed my niece the pics I took at the conference. She got so excited at the cake with the different colors used to make a marble effect. So when McCormick sent their baking creativity kit to attendees to use some of the skills we learned at the conference I knew I wanted to make cupcakes for her using that effect. One thing my niece and I have always enjoyed doing together is making cupcakes. It is something we started when she was small and could only stir the batter. 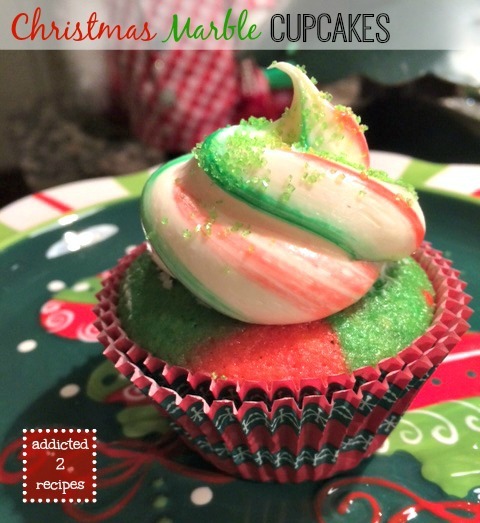 Now I’m excited to share with her the tips on how to make these marbleized cupcakes. Place batter in prepared muffin tin with cupcake wrappers. Pour a little of one color and overlap with the next. It will start to look camouflage or marbleized in design. Fill between 1/2 and 3/4 full. 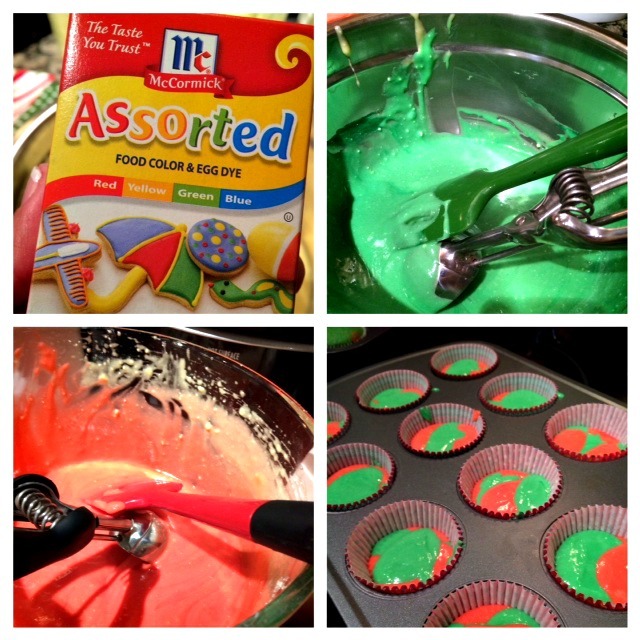 When cupcakes are cool, prepare a disposable icing bag by “painting” stripes of your food coloring in the bag. Fold the bag over and with a small paintbrush, brush food coloring directly on the inside of the bag from bottom to top (not all the way to the top – just enough to cover your icing.). Add icing to the bag. As you pipe it out you will form stripes on the icing. Disclosure: I received a McCormick Baking Creativity Kit to use and a gift card as compensation for the post.